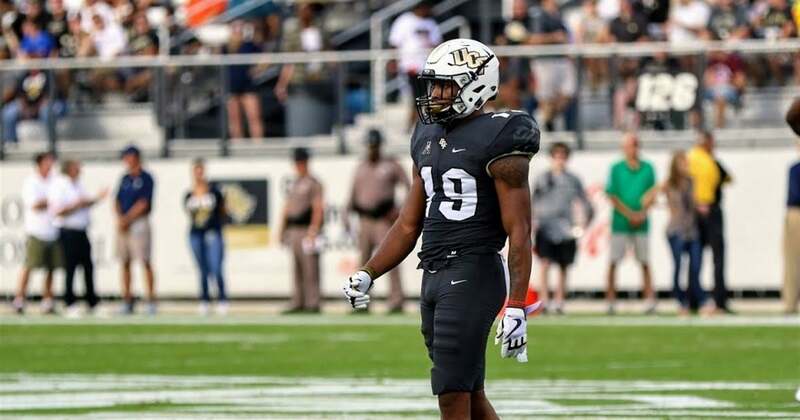 So far, Kodey Stauffer and Simon Villanoz released their AFC North Team by Team Mock Draft Analysis , and their NFC North Mock Draft Edition. Today Simon and Kodey released their NFC North team by team analysis below. New York had an injury riddled season seemingly losing the majority of their offensive weapons. Odell Beckham Jr. and Brandon Marshall were heavily missed as the Giants struggled to be competitive. Even Sterling Shepherd seemed to be playing through some injuries as well. When they come back expect the Giants to make another formidable push towards the playoffs. Adding Braden Smith, Malik Jefferson, and Levi Wallace give them players who can both add depth and help in that playoff push. Those are all positions of need that I think those players can fill. In my opinion they’re great value picks for where the Giants will pick in the draft. Josh Rosen is the real prize here though. Although he may not even play this season, this gives New York the perfect opportunity to secure their future. In my opinion, Josh Rosen under the mentorship of Eli Manning can become an even better quarterback than Eli was for the Giants. His talent is through the roof, and he is a legitimate pure pocket passer. I personally look forward to the duels he will one day have with the likes of Carson Wentz and Dak Prescott in the growingly tough NFC East. Washington is in a tough spot. I personally believe they should’ve kept Kirk Cousins and paid him but now they have Alex Smith. I also do not think Alex Smith will be the starting quarterback for the Redskins in two years. They are a franchise that I believe may be the bottom feeders of the NFL in the coming seasons, because of their inability to commit to a quarterback. Sam Darnold may change that. He is an extremely raw prospect who has a lot of potential. In a perfect scenario, I can see duels between Sam Darnold and Josh Rosen as well. In fact, I would not mind that scenario coming true at all. The rivalry from college carrying over into the NFL is a legitimate story line waiting to happen if the Redskins go with Darnold. Besides Darnold their are other intriguing prospects in this draft. Ronnie Harrison is yet another solid Alabama defensive player who I fully expect to take over a starting safety job once the season comes around. Dallas Goedert is a small school product that has the tools to be one of the best tight ends in the NFL someday if he develops nicely. Pairing him with Jordan Reed can give whoever the Redskins quarterback is, a good pair of weapons. Also lastly, Kenny Hill from TCU can be an intriguing pick. Remember the last time the Redskins selected a first round quarterback and took another quarterback in the later rounds? I’ve watched Kenny Hill’s entire collegiate career, and all I can say is look out for the possible return of Kenny Trill. Dallas took an L by not letting Zeke sit out his suspension sooner. It made their playoff push that much harder. Hindsight is 20/20 though so I won’t hate on the Cowboys like most would love me to. This draft is a very solid draft for the Cowboys in my opinion. 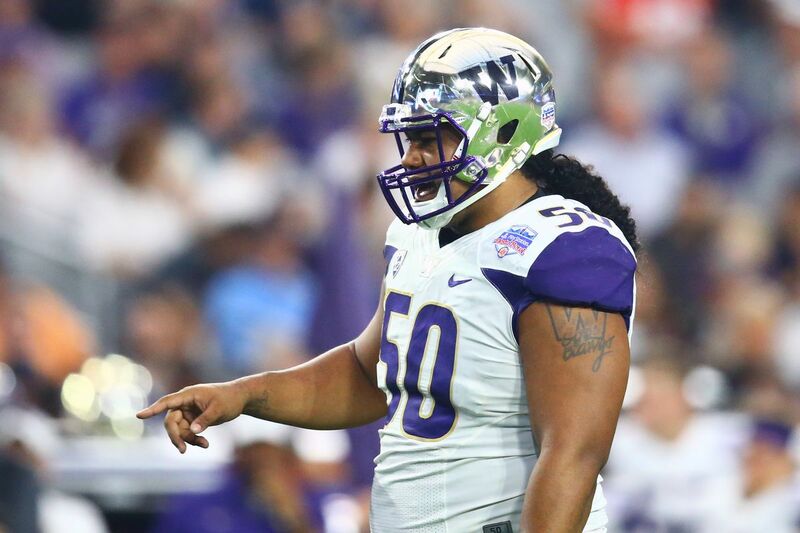 Adding Vita Vea will give that Dallas defense a big time boost. He is an absolute monster of a man, and I think he will be a dominant tackle in the NFL someday. Rod Marinelli’s mouth will be watering at the opportunity to get such a big game changer. Adding D.J. Reed and Reggie Carter as well will help add depth to a defense that lacked it once injuries came around. The most interesting picks in this draft though would have to be Hayden Hurst and D.J. Clark. Hayden Hurst was an elite pass catching tight end on the collegiate level, and he will be that under the mentorship of Jason Witten in the NFL. Some believe he may be better than Mark Andrews even, because of his pass catching ability. His biggest issue is blocking, but Jason Witten can definitely help mentor him in that area. D.J. Clark is a guy who I believe his draft stock will soar as we get closer to the NFL draft. Coming off a big time performance in the Senior Bowl, Clark I believe has the potential of replacing Dez Bryant one day. These two pass catchers will help out Dak Prescott big time as he moves on with his career. Not going to lie, the Eagles’ draft class is one of the weaker ones in this entire mock draft. That’s mostly because I do believe they’re solid at a lot of positions on their team, and I’m not too sure how to draft for them. At this point I see the Philadelphia Eagles as a potential dynasty. All great football dynasties are built on the stockpiling of players who can contribute one day. That’s what I see in Mike Hughes, Armani Watts, Duke Dawson, and Marquis Haynes. They all have high ceilings in my opinion, but I don’t believe they are ready to play in the NFL at a high level just yet. Give each of these players about a year to develop, and I can honestly say I won’t be surprised if they develop into reasons why the Eagles will maintain their success for years to come. Stay Tuned for AFC East Tomorrow.